Today I would like to share with you one of my favourite recipes. A RY4 type e-liquid with sweet and nutty tobacco, golden caramel and a hint of cream to round out the flavour. This was my all day vape for several months so if you like RY4 type flavours you should definitely give it a go. Simply plug in the flavour percentages to the Easy DIY E-Liquid Calculator and mix this sucker up! I would recommend a 50/50 or 60/40 VG/PG mix but really it will work with high or low VG, what ever is best in your current set-up. It’s a good “shake and vape” but gets better with time. 1-2 weeks for the flavours to really come together. Nicotine has to be diluted into a base (either PG or VG) as pure nicotine is extremely toxic. 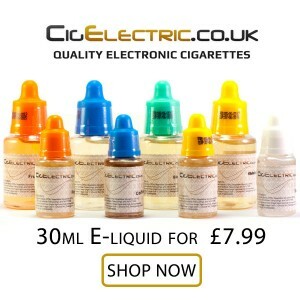 The difference is that if you use nicotine with a PG base it will add PG to your mix, if you use VG, it will add VG so you will need to adjust accordingly.